For triple NTC-thermistor probes (part1) access here. Hi again, today I continue my little experimentation with Arduino. The ultimate aim is to have a homemade incubator. 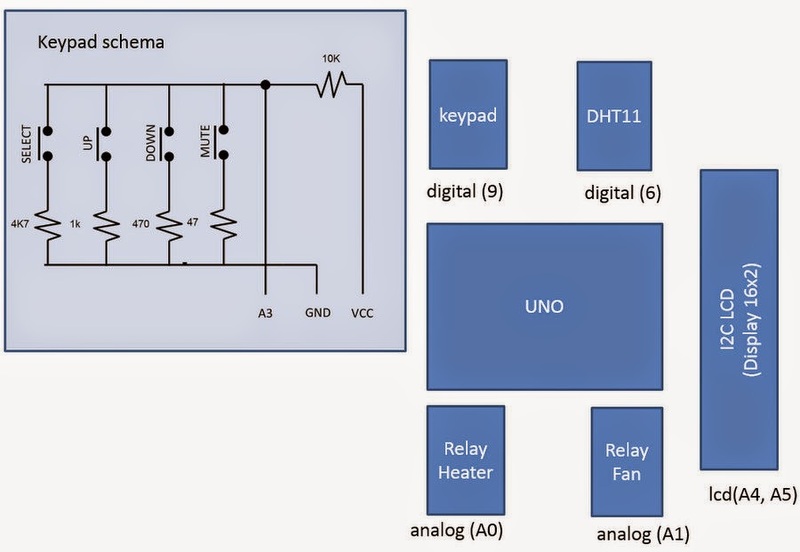 This article will discuss a way to have a user input for some parameters in my incubator, like upper temperature limit (upperTemp), lower temperature limit (lowerTemp), heating and cooling time during the normal operation (heatingTime and coolingTime, respectively). To enable user input, I selected four push buttons, representing select menu, down, up, and mute buttons. 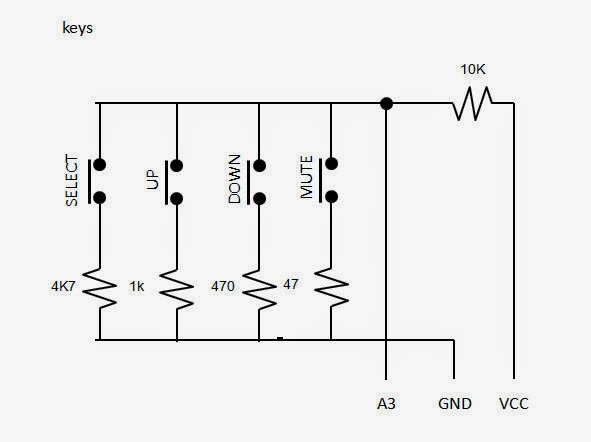 Learning from an Arduino page, it is fairly simple to understand the logic of multi buttons input for a single analog pin. I employed four different resistors to give different input values to an Arduino analog pin. 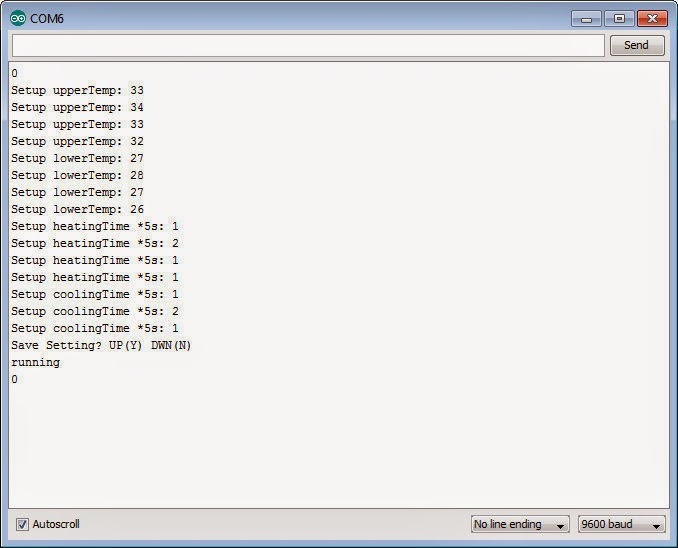 Since I have four parameters to be adjusted: upperTemp, lowerTemp, heatingTime, and coolingTime, therefore I need to create at least four setup sub-menu and another one for saving all parameters either to internal Arduino memory space (EEPROM) or to an external (micro)SD card. My incubator will not operate sub-zero or more than 80, than I need to put some logics on the code. Also, heating and cooling time should be in between 1 – 99. I added a simple tactile function to determine best delay for easiness of use by user. I called another function (msgSelectState) in which I stored all human-readable message either to a LCD, LED, 7 segment, or in my case to serial connection. You may visit another implementation of multiple buttons on single pin from Tronixstuff. Lets connect the FTDI cable to a computer USB port.